Bio-Linked™ participants have the opportunity to advance cancer treatment research by donating mononuclear cells. 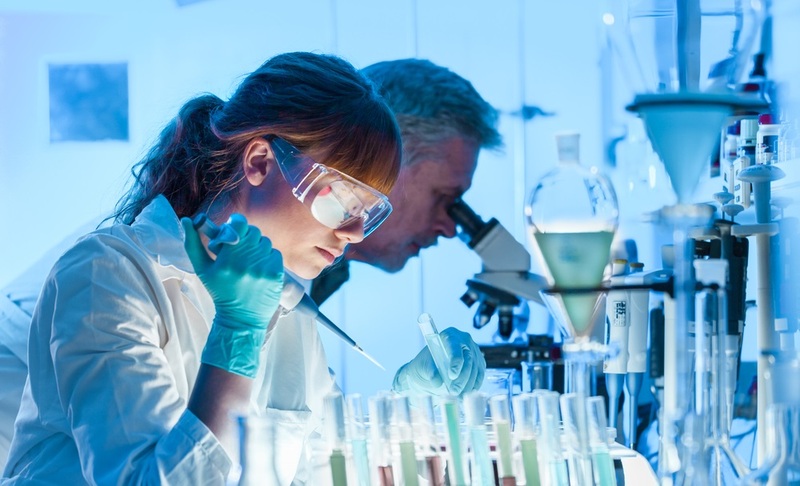 A clinical-stage research firm in the U.S. is developing cell- and antibody-based drugs that can aid in stem cell transplant recovery. Bio-Linked™ is seeking adults eligible for whole blood donation who weigh at least 110 pounds for the research firm's trials. Participants are eligible for compensation up to $1,000. Mononuclear cells are separated and extracted from whole blood during apheresis blood donation, a process that takes approximately 120 minutes. The cells will help produce drugs that lessen the chance of infection and aid in recovery for transplant recipients. In order to be eligible to participate, donors must fully complete their BioProfile on the Bio-Linked website. They must also accept research opportunities on their BioProfile. Under preferences, be sure to note your preferred method of contact, and mark “Donate Apheresis White Blood Cells” on the slide for donation types you are willing to offer. Bio-Linked™ will use the information in completed profiles to determine if a potential participant meets the requirements for the research study. Bio-Linked™ will contact you with potential research opportunities. 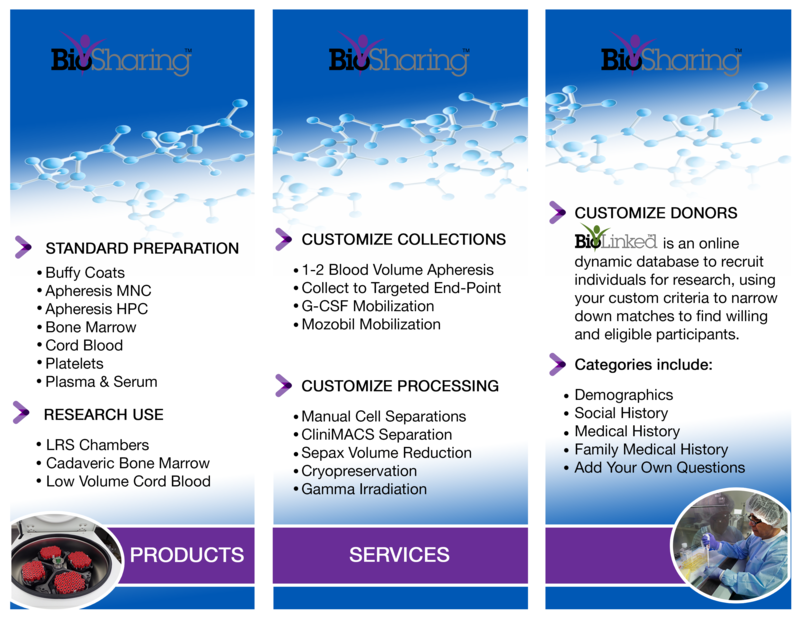 Through Bio-Linked™ and Bio-Sharing™, participating blood centers provide the blood cells necessary to support breakthrough stem cell-based immunology studies that could lead to new cancer treatments and cures. Bio-Linked™ is seeking blood donors to help advance cancer studies. The Blood Institute is collaborating with Moffitt Cancer Center in Florida to collect mononuclear cells for cancer research and treatments. Mononuclear cells play a critical role in healthy immune function and prevention of cancer. These cells are separated and extracted from whole blood during apheresis blood donation, a process that takes a bit longer than a typical platelet donation (approximately 120 minutes). Donors who participate should be healthy adults who weigh at least 110 pounds and meet all criteria for a whole blood donation. Participants are eligible to receive compensation. 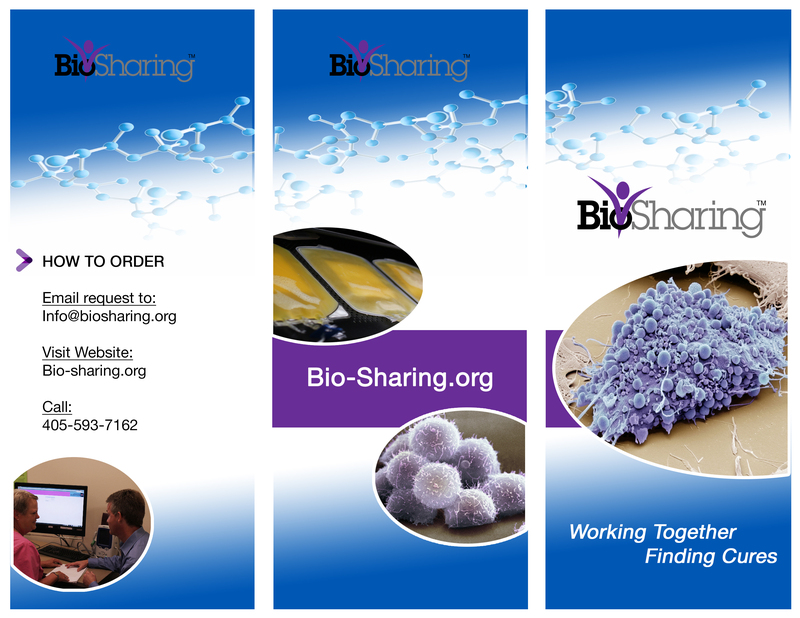 In order to participate, donors must also accept research opportunities on their BioProfile on the Bio-Linked website. 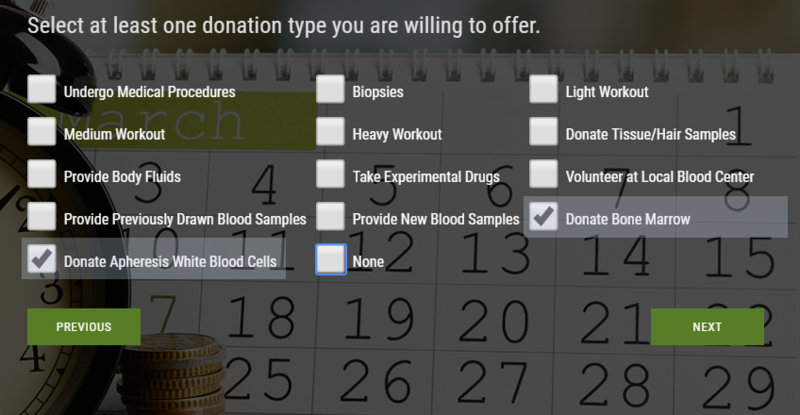 Under preferences, be sure to note your preferred method of contact, and mark “Donate Apheresis White Blood Cells” on the slide for donation types you are willing to offer. 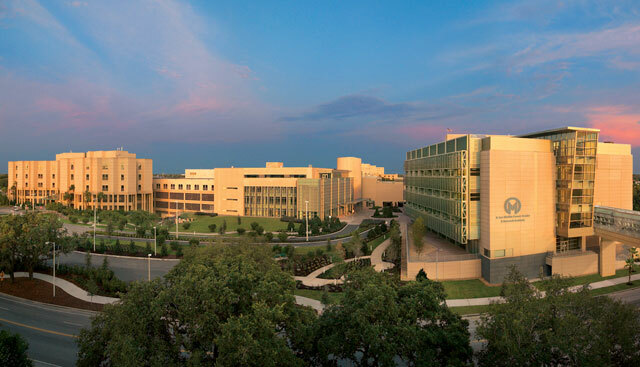 Moffitt, a non-profit, National Cancer Institute-designated treatment and research center, has operated in Tampa, Florida, since 1986. It conducts groundbreaking studies to fight many forms of cancer, in five focal areas: cancer biology & evolution, cancer epidemiology, chemical biology & molecular medicine, health outcomes & behavior, and immunology. Through Bio-Linked™ and Bio-Sharing™, the Blood Institute provides the blood cells necessary to support Moffitt’s cutting-edge cell therapy research and development— programs that could lead to discoveries of new cancer treatments and cures. The mononuclear cell is a key ingredient for the cancer-fighting lymphocyte drugs Moffitt Cancer Center creates with the help of drug developers. These innovative treatments give hope to patients with previously untreatable cancers. By participating in Bio-Linked™, you are part of the pioneering relationship between the Blood Institute and Moffitt Cancer Center, and you are helping evolve the search for cures to cancers that affect your family members, friends, neighbors, and millions of others. 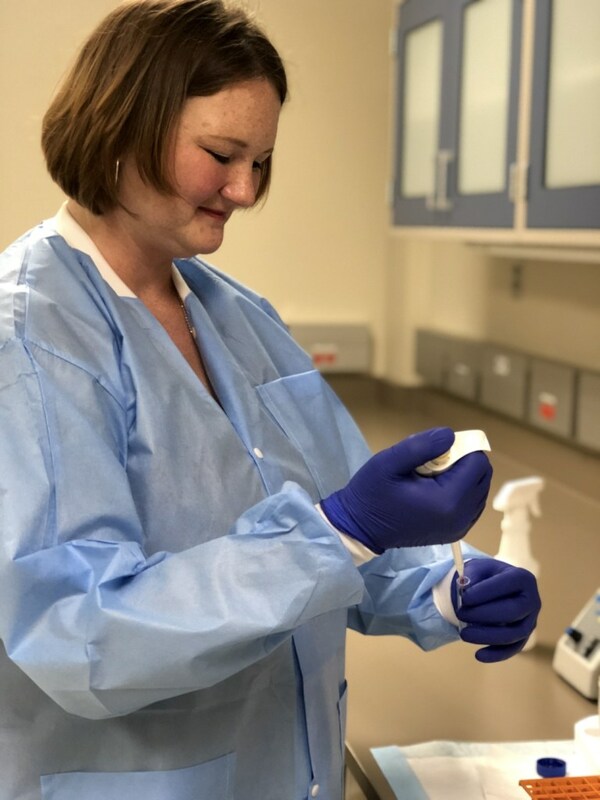 Oklahoma Blood Institute's Cellular Therapies Featured in "The Oklahoman"
Oklahoma Blood Institute's cellular therapies program is featured in "The Oklahoman." At the Oklahoma Blood Institute, we collect more than 20,000 platelet donations each year. During routine collection, platelets are separated from other blood components by centrifugation. 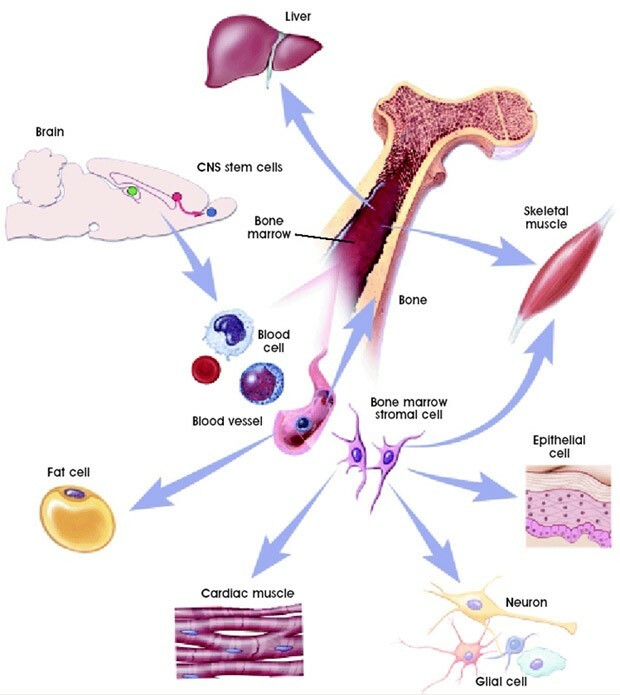 Leukoreduction system (LRS) chambers play a direct role in the cell reduction process used to collect the platelets. When the donation process is completed, red blood cells, white blood cells, and plasma are returned to the donor. However, a small volume of concentrated white blood cells remains inside the LRS chamber. These chambers are typically discarded, but if they are sterilely separated from the collection kit, the white blood cells contained within can be used in a whole host of research applications. Collecting these chambers and providing them to scientists for research purposes is one way Oklahoma Blood Institute is being good stewards of our donors’ gift of life-saving platelets. We have analyzed a group of LRS chambers for the number of cells and the different cell types contained within. 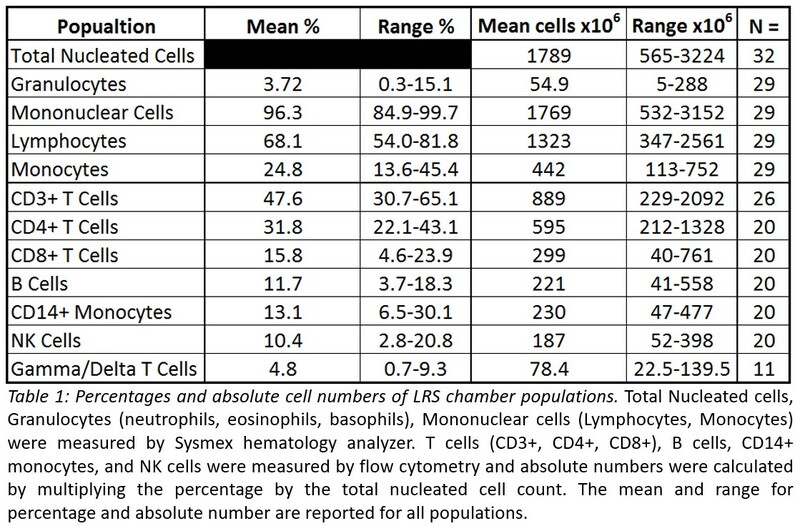 An average of 1.8x109 total nucleated cells (Table 1) are obtained from a single LRS chamber, with an average of 96.3% of those cells being lymphocytes and monocytes (Mononuclear Cells). CD3+ T cells make up between 30% and 65% of the total LRS chamber contents, depending in the individual. Other common subpopulations in these chambers are B cells, monocytes, and NK cells. CD3+ T cells are currently being used in cutting-edge cancer treatments called CAR T cell therapies, and both NK cells and gamma/delta T cells are emerging as potential cell types for future CAR therapies. The CD14+ monocyte population has the potential to develop into dendritic cells, which can be used to develop cancer vaccines. 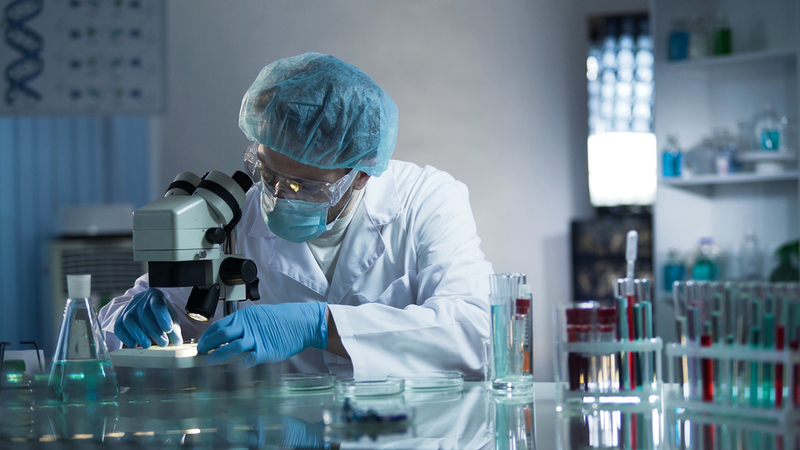 Laboratories and companies in the research phases of their therapy development can benefit from using cells from LRS chambers as a source of their lymphocyte and monocyte cell populations. OBI is currently developing technology to harvest the cells out of the LRS chamber in an FDA compliant way so these cells can be used directly in allogeneic clinical applications.